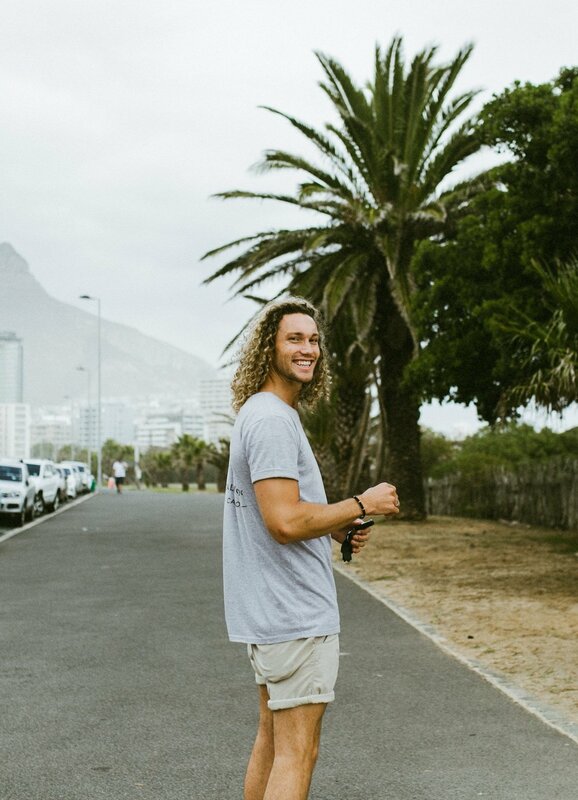 South Africa is hands down my favourite country I've been to. There are so many beautiful places in this world but I think a place is made even more special by the people you meet there. I know my experience wouldn't have been the same if it wasn't for Ryan and Nick from Local Knowledge Tours showing me around. We hopped on a bike (me!) 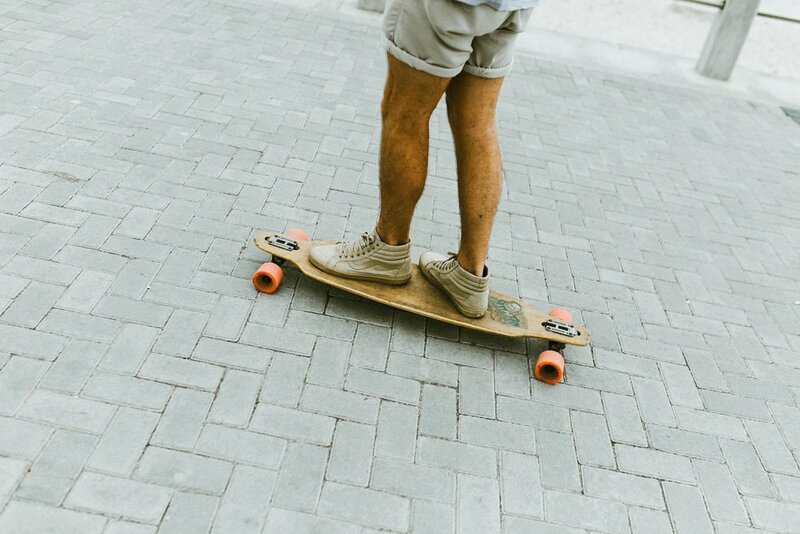 and longboard (ryan!) and explored the ocean boardwalk. I was definitely in my happy place doing what I love, with great company, and a beautiful ocean view. Trying to multitask riding my bike and taking portraits. Harder than it looks! Next stop: ciders in a secret cave on the coastline. Here we are sitting in the secret cave! I told Ryan I wanted a few photos of him here, and that's him laughing when he realized I was already tipsy from the cider. Thankfully my photos didn't come out blurry! We then went to a spot where you could do cliff diving. To be honest when we started the trip and Ryan told me we could do that, in my mind it was a big hard no. I had watched too many national geographic documentaries about sharks in South Africa and was uneasy swimming in such a turbulent ocean. As someone who didn't grow up near the ocean, I guess I am hyper aware of all the things that could kill me in it haha. But once Ryan jumped in and reassured me there were indeed no sharks lurking at the bottom, I chose to try it. I'm so glad I did! The scariest part was the jump. As soon as I got in the water I felt super calm albeit swallowing so much sea water I couldn't speak. Thanks for being such a rock throughout the whole thing, Ryan! 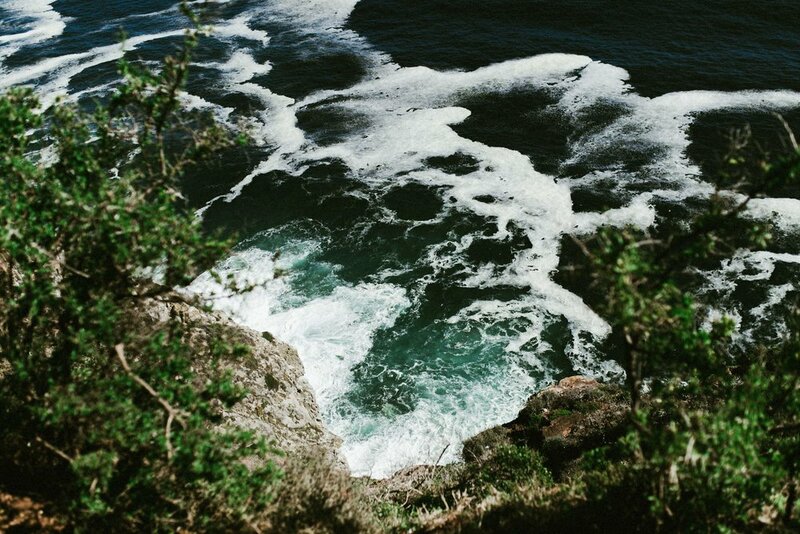 The crazy waves we jumped into (left) and my minor battle scars when climbing out (right). A huge wave almost took me out when I tried to get back to shore but surprisingly I felt super calm on the inside and just held on until it passed. I didn't even know I had a scratch until I was drying off. Before we started a pub crawl, we went to the beach again to watch the sunset. 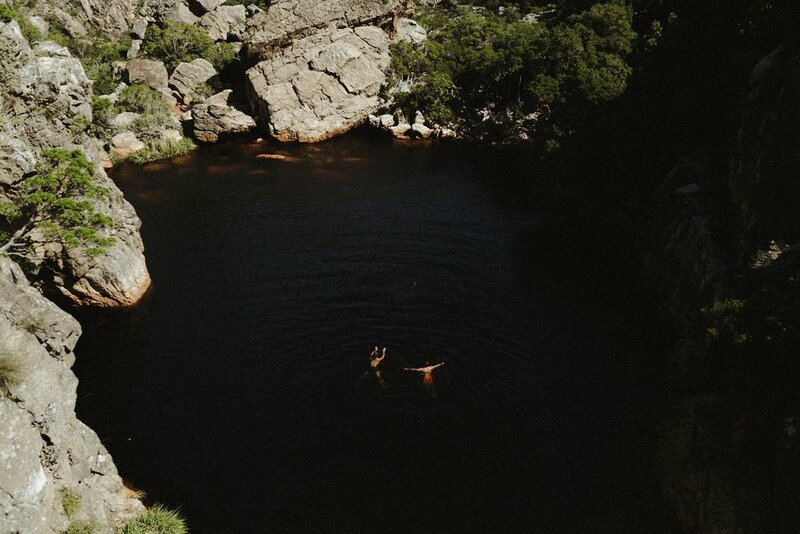 The crystal pools are these natural fresh water pools you can swim in. We had to hike to get to them and the views along the way were super pretty (top, right). These are the pools (below), and more cliff diving. It wasn't so much the height that scared me, but that no one knew how deep it was. Something about seemingly bottomless pools and the mysterious creatures that could be living so deep underwater (my imagination, obviously) made me skip on jumping this one. I loved this little moment (above), of Nick and Ryan hanging out while I was busy photographing Jenny and Andrew. So sweet! And, more cliff diving (of course). Something I love about Nick and Ryan is how they take the time to enjoy their surroundings and notice little things. For example, when Nick was helping me climb down from the crystal pools, he stopped to show me the moss on a rock that looked like snowflakes. It was such a tiny detail that could have easily been missed. I love that he paid attention to it! And thanks Ryan, for being so attentive to helping me out with climbing, carrying my heavy stuff (sorry, photographer problems), and just being so kind and friendly! I wish these two the most success with local knowledge tours. It makes me so happy to see that they're both doing what they love! I hope our paths will cross again soon. My heart kind of sank when I had to say goodbye. See you again, beautiful South Africa.